Discussion in 'Ford Explorer Police Interceptor Utility PIU' started by blob19, June 6, 2018. FORScan 2011-2018 Explorers shows a BCM address to enable the feature, and mentions that without an Intelligent Access key you need to add a switch. Does anyone have information about how to wire the switch? I am also curious if this physically prevents the column shifter from being moved or if it simply kills the engine if the you attempt to move the shifter. There does not seem to be a whole lot of information out there. The brake shift interlock requires key in and key on. 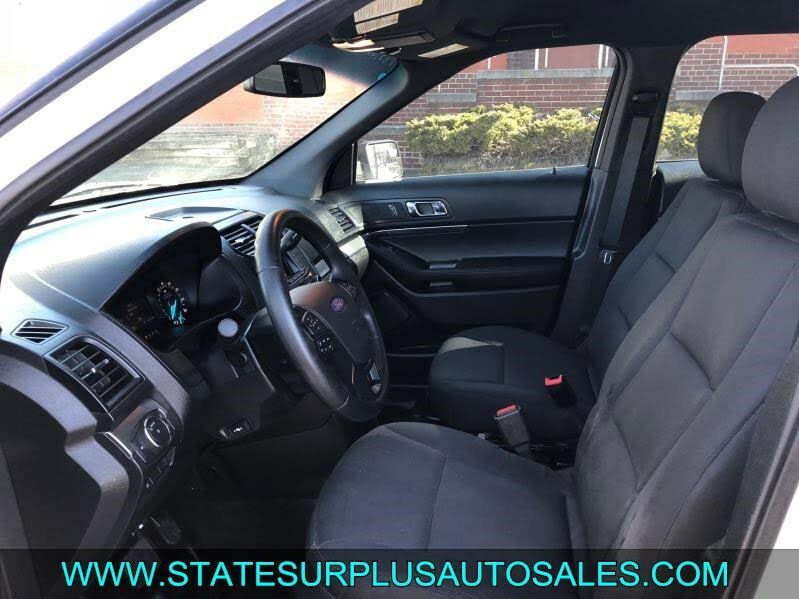 The secure idle feature allows the engine to stay running with key off and key out, so I don't believe you will be able to move the shifter with secure idle engaged. I believe you need hood switch also for it to work. OK, thanks for confirming! 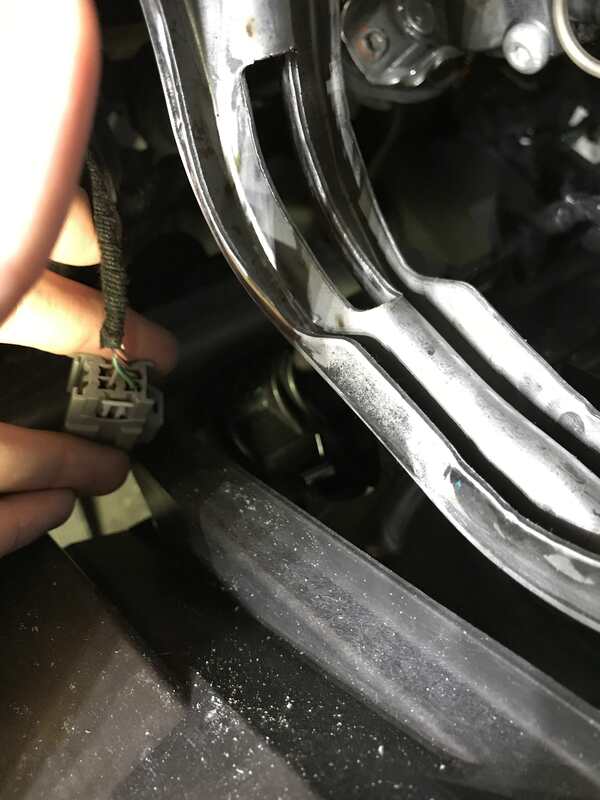 After I posted that I got to thinking that the shifter being immovable is probably a property of the ignition being locked, and totally separate from any kind of Secure Idle feature. I think I'm going to give this a shot. Just need to figure out which wires need to be connected to the switch. 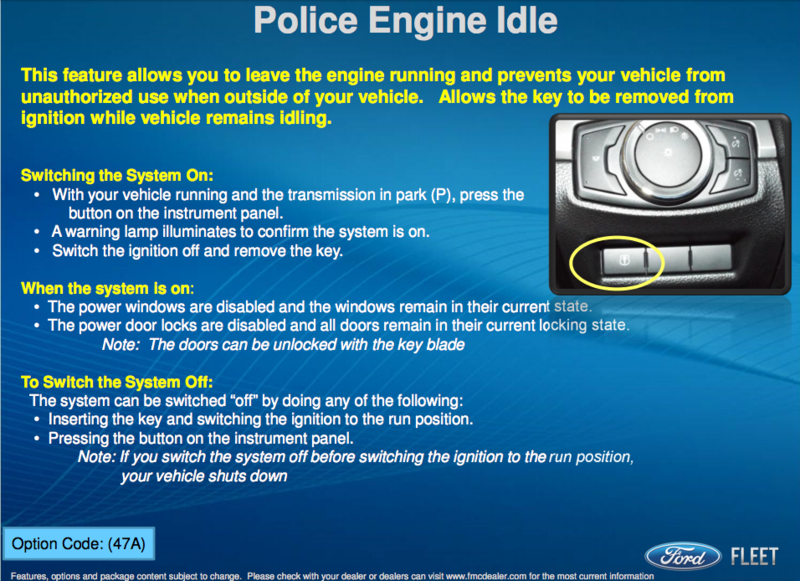 The secure idle for IA vehicles is completely different than Police Engine Idle. It should not be listed as anything to do with Police. It is Secure Idle, not Police Engine Idle. Two completely different features. I actually saw your same response @ New Forscan Update Allows Module Programming, but didn't see exactly what the differences are. Obviously Intelligent Access keys change the way that the presence of a key is detected, but beyond that, what else? Its not the same feature...People have mislabeled it. Therefore the settings would be different. Unfortunately the programming for it exists in a location that isn't accessible. OK, I'm not disagreeing. Please help me understand what each feature does. I think other people may have the same question as I do. Secure Idle is a feature for push to start ignition equipped vehicles. Its is not a feature used in police models. 17+ model year police vehicle have the option of Police Engine Idle available. Two completely different features but they do similar functions. The programming is completely different. So if I have a 18 PIU I can’t enable the Police idle if it was not ordered from the factory? Did anyone figure out where to wire the switch for Police Idle? I have some PIUs that we might add it to. Illuminates when Police Idle System is armed and active. The system allows you to leave the engine running and prevents your vehicle from unauthorized use when you are outside of your vehicle. When you remove the key from the ignition. The engine remains idling. 1. With your vehicle running and the transmission in park (P). Press the button on the instrument panel. A warning lamp illuminates to confirm the system is on. 2. Switch the ignition off and remove the key. • The power window switches are disabled and the windows remain in their current state. • The power door lock controls are disabled and all doors remain in their current locking state. • The liftgate or luggage compartment switches are disabled. NOTE: When the system is on, you can use the key blade to lock and unlock your vehicle. • Tun the key to the run position. • Press the button on the instrument panel. NOTE: If you switch the system off before switching the ignition to the run position your vehicle shuts down. Ford Motor Company has implemented a decommissioning process of Ford-provided police features. It is the responsibility of the owner to complete the decommissioning of the vehicle in compliance with any state regulations prior to initial sale to the public sector. Authorized personnel must use a diagnostic scan tool to decommission police idle. Police Engine Idle Not Available -- Displayed when the Police Engine Idle feature conditions are not correct for proper operation. Police Engine Idle Fault -- Displayed when there is a fault detected in the Police Engine Idle feature and the system is not active. Police Engine Idle Fault Restart Engine -- Displayed when there is a fault detected in the Police Engine Idle feature and the system is active. Police Engine Idle Active Reinsert Key or Press Button -- Displayed when the Police Engine Idle feature is active. For sedans it's option 18S and for utility option 47A. Appears to cost around $250.... For comparison, some of the bids I've seen price the Silent Mode add-on at $20, which seems to confirm that there is actual hardware involved with Police Engine Idle (since it costs more). The instructions state "Press the button on the instrument panel", but I've been unable to find any photos of an instrument panel that has this extra physical button. I don't see anything in the Police 14-way pigtail that mentions idle, although there is a POL_START, POL_R/S (Run/Start), and PARK DETECT. What's odd is that the vehicles without the switch don't even have a blank placeholder. Does that whole kick-panel have to be replaced? 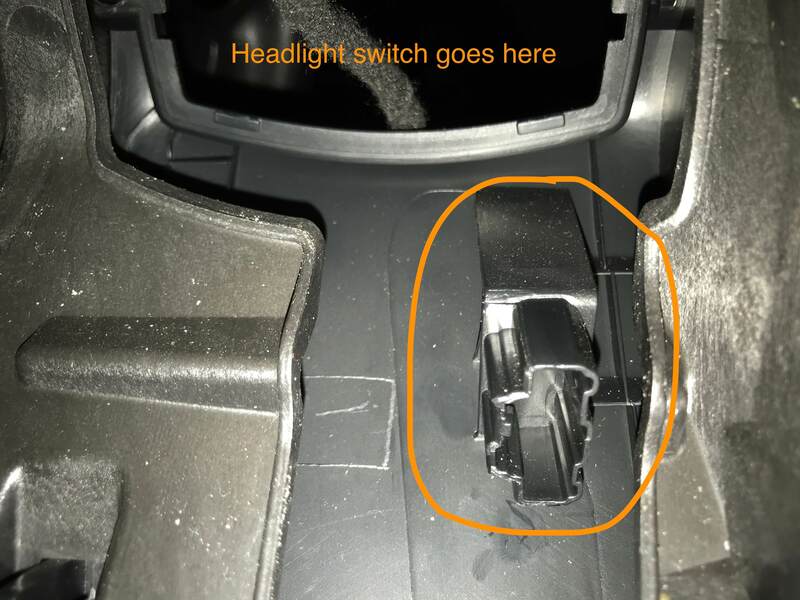 If you want to do OE install, you will need switch and may need interior trim panel with switch bank cutout, plus whatever programming is needed. Has it been clarified if this can be added via Forscan, requires IDS, or if it can't be done at all if not factory optioned? Thanks KayGee. Yup, that's the picture I found and linked above. No, it hasn't been clarified at this point, I am still exploring right now. At this point I'm trying to locate the part number for that switch. When I looked into this previously, I believe the switch # was BB5Z-13D730-EA and the panel # was BB5Z-7804338-AD (maybe FB5Z-7804338-DB). The modifier guide says that this is for 2-way radio, but also says that it is behind the center stack. The pictures of various switch assemblies such as BB5Z-13D730-EA that I see all have an 8-pin connector. Further there is a place in the back of my panel that appears to hold a connector, but it looks more like the 8-pin ones and not 3U2Z-14S411-BUB. I guess I need to either put this at rest for some of you or entice you even more. The 17s and probably beyond have the switch pigtail even if its not equipped with the system. If its not equipped, the pigtail plugs into a dummy receptacle below the HL switch if I recall correctly. All the switch does is send a ground signal to the BCM. Even with enabling Police Engine Idle in IDS it doesn't work. There is deeper programming within the BCM that is not accessible with IDS or anything like it. To get a BCM that fully supports it you will need to buy one for a vehicle that has it and matches your vehicle or perhaps (I haven't tried it) is to hook up to one that has it and then do a replacement process through IDS on the one you want to add it to. Keep in mind for this the BCM would have to be identical part # wise. Even the calibration firmware between one with and one without appears to be the same. There is a section of the BCM that is burned at the factory and not accessible with normal tools and this is where the setting lies. Then the remaining questions is whether or not the PCM is the same or if there is a setting in there for it. I just did this on a 2018 police interceptor on Friday. We purchased the ford switch along with the trim piece that has the cutout for the switch. Then enabled it using IDS > Toolbox > Electrical > Police Features > Police Idle > Enable Police Idle. Sounds like someone with IDS will need to grab module data before and after the change to try and identify what is changing. Is it pcm, bcm, multiple modules??? That is interesting as I have done the same thing to a 17 and it does not work. I am 100 percent sure there is also a non accessible setting in the BCM (I have seen the programming layout) for Police Idle. Unless they have opted to make that enabled now rather than only doing it on the ones that are ordered with it. You would even get a big pop up warning in IDS that enabling Police Idle would not really allow it to work unless it was ordered with it.